Ariel can record links to documents relating to your contact held in your document archive. This allows for easy retrieval of documents. 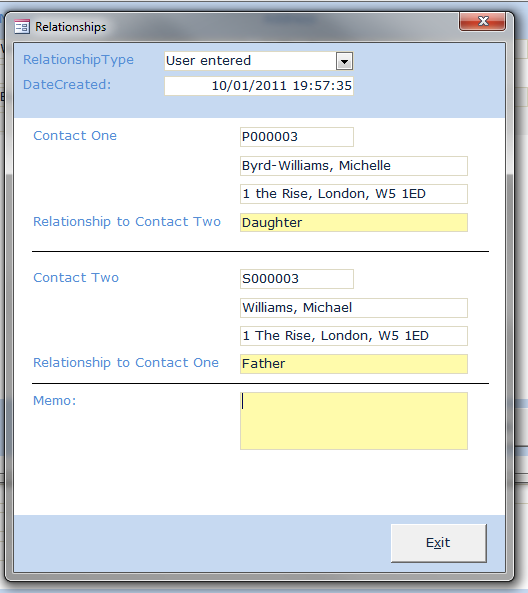 In this example the charity records both children and their parents as separate contacts. This is because the charity sends mailshots to the parents and different letters to the children. Ariel can cope with common law marriages.